Turning yourself in to the police is a daunting consideration. 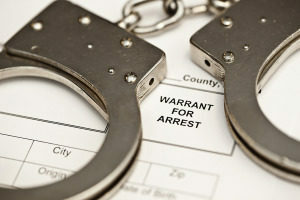 We often get calls from potential clients that have become aware that there is a warrant for their arrest. The first question they ask is how they clear that up. The answer we almost always give is that they should turn themselves in. This is a scary process for many people, so we thought we would give some insight into how it works. In this blog, we will talk about turning yourself in to the police. Like all of our blogs, this is intended for informational purposes only and is not intended as a substitute for the advice and counsel of a criminal defense attorney. I just found out there’s a warrant for my arrest, what should I do now? The first thing you should probably do is call a criminal defense lawyer to talk you through your next steps. In fact, setting up a consultation with a criminal defense attorney would probably be best because they would remind you about not making any incriminating statements, and they can give you some information regarding the seriousness of the charges and information about how the process works. In North Carolina, rather than turn yourself in to the nearest police department, it is more efficient to turn yourself into the county sheriff, usually at the local jail. In Mecklenburg County, in particular, the process is relatively efficient as the jail, the sheriff’s office and the magistrate’s office are located in the same building. What will I need to turn myself in? Typically, all you will need is yourself and some form of government issued photo identification. The purpose of the identification is so that the officials can make sure that the right person is being booked for the right charges. How soon will they set a bond, and how soon will I be able to get out? Part of that question is easy to answer; you will typically see a magistrate that sets an initial bond pretty quickly (within a few hours). How soon you will get out depends on your bond conditions. Your bond conditions will depend on many factors such as the nature of the crime, your criminal record, and whether you are considered a flight risk or a danger to society. Keep in mind after they initial bond is set by a magistrate, your attorney can set up a bond hearing for you some time later, before a judge. Is there any benefit to retaining an attorney prior to turning myself in? Yes. An attorney can actually help facilitate you turning yourself, can be on alert as to the progress of your arrest, and can help you obtain a bondsman, contact your family for you, etc. The attorney will also remind you not to give up any of your constitutional rights, and not to make statements to anyone. Please note that even if there is not an active warrant for your arrest but you think you think that you are suspected of a crime or you think that you may be arrested, you should 1) not speak with the police and 2) contact a criminal defense lawyer. If there is a warrant for your arrest and you need a criminal defense attorney, contact us. We handle criminal matters in North Carolina and South Carolina including federal crimes and state crimes.